While a new business has no alternative but to rely on the personal credit score of the owner, it is good practice to build a business credit score as quickly as possible. Business credit is comprised of rent or mortgage payment history, tax payments, equipment financing, credit cards in the business name and any other related credit payments. Businesses need a tax EIN in order to build credit, and can also apply for a Dun & Bradstreet DUNS number. A Commercial Credit Score (CCS) through Dun & Bradstreet is used by banks and lenders to determine the likelihood of a business paying its obligations on time. The score ranges from 101 to 670, with 670 being the highest score. Here are 5 tips to improve credit scores for small business owners. 1) Get a copy of your credit report and verify all information. Take steps to correct mistakes or discrepancies. Be proactive and don’t let this step slide. 2) Always pay your bills on time. 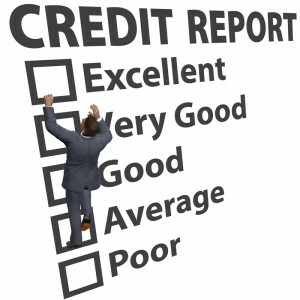 Build a good credit history for your business. This is one of the best things you can do to improve your score over time. 3) Understand how your credit score is calculated so you can make a positive impact on your score. 4) Consider applying for a Dun & Bradstreet DUNS number, to help build a business profile and score. 5) Consider getting professional advice to clean up your credit record. Benetrends is the original architect of rollover funding and has helped over 10,000 business owners in the last 30 years. We have an in-house team of over 65 experts who are here to not only help you find the right funding solution to start your business, we also help with planning, administration, commercial insurance, health insurance, payroll and human resource services –for the life of your business.